25% Discount at ASOS.com with valid NUS Extra card. 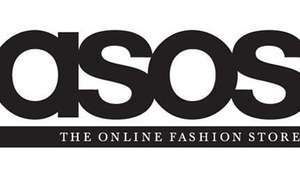 ASOS is offering 25% discount on their website with a valid NUS Extra card. Discount ends 9AM Friday 4th Nov. Anyone kind enough to share a NUS card number? You work for asos I guess? 22 ° 25% Discount at ASOS.com with valid NUS Extra card. You work for asos I guess?Title:FlintMember:41 minutesLast active:27 … You work for asos I guess?Title:FlintMember:41 minutesLast active:27 minutesLikes:0Activity (1)22 ° 25% Discount at ASOS.com with valid NUS Extra card.Surely self promotion? HUKD is one of my fav sites, but I've never signed up. Nus card numbers are linked to accounts so Im afraid ppl wont be able to share their numbers. Yeah i thinkl theyve changed that recently. Nus card numbers are linked to accounts so Im afraid ppl wont be able to … Nus card numbers are linked to accounts so Im afraid ppl wont be able to share their numbers. just give me your NUS number..
Deal posting newbie! This is phil_288 first deal post. Help out by leaving a posting tip or just to show your appreciation for their contribution.